LUH DAH is one of the leading manufacturer brake pads and shoes in Taiwan for more than 30 years, We produce brake parts in our shop with experienced and highly trained employees. With over 30 years experience in the brake pads and shoes we have devoted many years of research and can also assemblies per your drawing to supply finished parts. Over 95% of our products are distributed through Asia, America, Europe, Australia and Africa. Our excellent scope of products and services, through continuous improvement and development, based upon our experience and technology, service a multitude of brake worldwide. 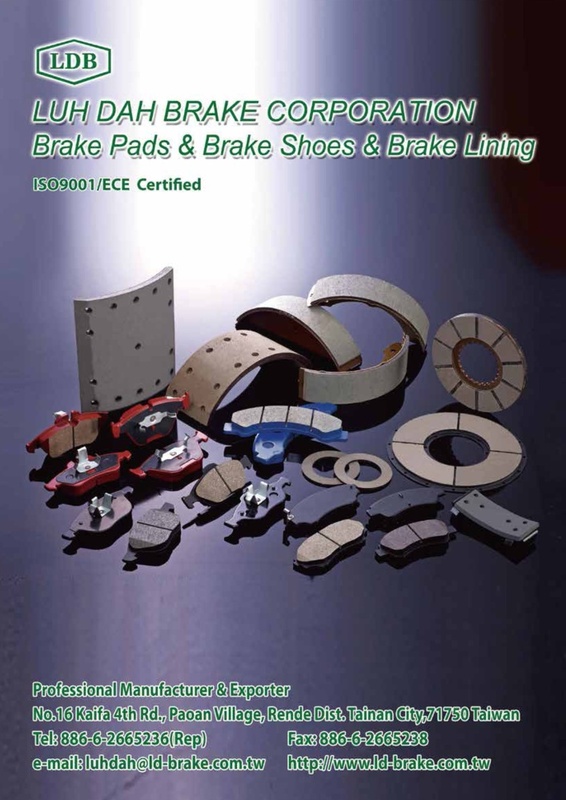 We have three well known brand like LDB, HOKU and AILOTO for brake pads and shoes, fully backed by the ISO9002 & QS9000 & ECE MARK R90 certificate. We are proud of these advancements and are fully dedicated to developing new and better technology designed to make our products even more productive more reliable and long-lasting for you.